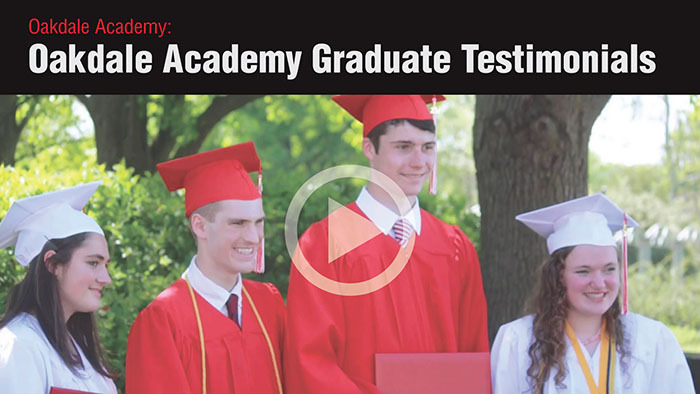 See how our environment fosters academic excellence, leadership development and training for high moral character based on Biblical principles. Oakdale Academy is the only school in Michigan to have received the prize in its 22-year history. Join Oakdale Academy as we help students develop their gifts to lead lives as Disciples of Christ. We seek to produce graduates that are intelligent, articulate, well-read and have great character. Oakdale Academy offers individual classes to homeschool families with students in grades 7 through 12. The Oakdale Academy Homeschool Option is a way for students in the homeschool community to attend classes part-time at Oakdale Academy. As an independent, private Junior Kindergarten-12 classical and Christian school, we offer an extraordinary educational experience based on the proven Hillsdale Academy model. Explore how we prepare students for college and life beyond through a Classical education model grounded in a Christian worldview focused on making purposeful choices. The education of your child is an incredible journey. Please call today for a personal tour of our learning environment. We welcome your questions and encourage your exploration of our unique approach to educating children of all ages.